Indiana Couple Loses over 2 Years of Their Babies' Lives because of Testimony of "Child Abuse Specialist"
It has been nearly three years that Ally Allen and John Kremitzki from Terre Haute, Indiana have been waiting for their two boys to come home after a trip to the emergency room (ER) turned into a parent’s worst nightmare, resulting in the medical kidnapping of their children. Despite having a medical explanation from medical experts for the injuries, the couple is being accused of child abuse based on the testimony of one Child Abuse Specialist. June 28, 2014, is a day that John and Ally will never forget. 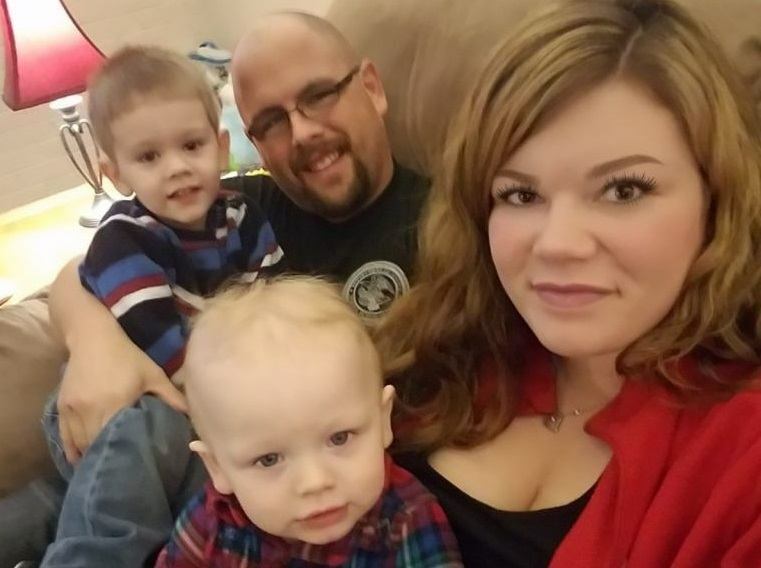 It set off a series of events that caused not only their baby son Jaxon to be medically kidnapped, but their second child was also seized at birth, simply because the case regarding Jaxon was still ongoing. Their second son, Jameson, exhibited many of the medical problems that their first son did, but they had no say in his medical care, and he has suffered in foster care. Ally, a heart-broken mother laments: "CPS has stolen what can never be returned and that's time—two and a half years of milestones and life. And, Jameson's entire life has been stolen. His entire infancy has been spent apart from his parents." Ally and John feel that this medical kidnapping of their children has gone on way too long. They are ready for their boys to come home, where they belong. Anyone that have been in the so called family court KNOW that CPS owns the judge and the attorneys that are not on your side, All CPS has to do is say anything that they want to with out any proof, and the judge takes CPS'S word like it's total truth, Child abuse is a crime and should not be in civil court, That is why CPS will never file criminal charges on anyone, Because then they would be in a real court room with due process and CPS in most cases cannot prove there lies. Not all family court judges are "owned". As a former GAL our judge in south Texas heard both sides of the story and more than once ruled in favor of CASA's recommendation. The first judge in this story is an embarrassment to justice. One Judge in how many? I and my daughter have been in front of many judges in our case, which by the way is illegal, you by law have to be in front of one judge in your case, CPS changes judges so that the next judge does not know better, all of them believed CPS"S lies, I and my daughter know better, one in how many, maybe just maybe there might be some judges that CPS does not own, I like to have had them in our kidnapping case. The bigger picture in these situations involves a look at the personality types that are drawn to medicine and law: Introverts. Huge problems exist with introverts. They assess themselves as superior and they treat each other with respect for that. They are incapable of ever thinking themselves wrong. Look at what happens to wrongly jailed inmates: Even when strong proof is presented in their defense the introverts that prosecuted and judged them can be impossible when it comes to reversing the decision. Lots of wink-wink nod-nod goes on between them in giving passes to their fellow introverts for horrible behavior. One evidence of this is the small representation of incarcerated white collar criminals. It's just an awful mistake to have them in charge of these proceedings. They certainly have zero respect for Constitutional rights of parents, no? If we want our rights we have to go after this whole class of people wherever we find them and prosecute for criminal negligence when it's found. The problem is that typically they are protected by their fellow attorneys that are elected officials. our story is almost identical ! These so call child abuse specialists are only in it for the money ! If they don't find abuse , no money ! They are not specialists in rare diseases , so experts in the disease should hold more weight in court but judges don't see it that way !